Pond Logic® ClearPAC® Plus - Airmax® Inc. The Pond Logic® ClearPAC® Plus ends the guesswork of pond management by combining essential pond maintenance products into 1 complete pond care package. The Pond Logic® ClearPAC® Plus allows pond owners to eliminate algae, improve water quality, reduce pond muck, promote fish health and maintain crystal clear water in a few simple steps. The Pond Logic® ClearPAC® Plus includes Pond Logic® MuckAway™ to combat excessive pond muck. 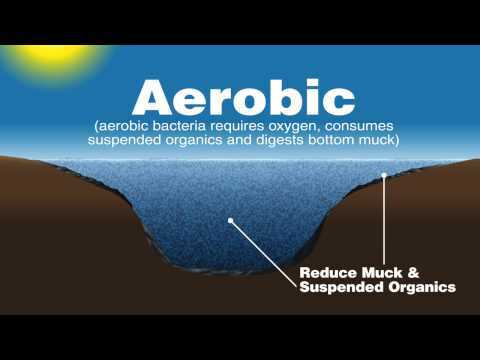 Eliminate pond muck from high traffic beach areas and lake shorelines so you can spend more time enjoying your pond and less time wading in muck. Along with our essential pond maintenance products, the Pond Logic® ClearPAC® Plus comes complete with easy-to-follow instructions and is guaranteed to work or your money back! Live in a state that restricts algaecides? Not to worry, the Pond Logic® ClearPAC® Plus is available without Algae Defense® so you can enjoy a crystal-clear pond regardless of where you live. Click on any of the ClearPAC® Plus products below for more information. Algae Defense® can not be shipped to Alaska, California, Connecticut, District of Columbia, Hawaii, Maine, New Jersey, New York, Puerto Rico, Rhode Island or Washington.